Many dog owners have their pets spayed or neutered to help control the pet population, but new research from the University of Georgia suggests the procedure could add to the length of their lives and alter the risk of specific causes of death. Looking at a sample of 40,139 death records from the Veterinary Medical Database from 1984-2004, researchers determined the average age at death for intact dogs—dogs that had not been spayed or neutered—was 7.9 years versus 9.4 years for sterilized dogs. The results of the study were published April 17 in PLOS ONE. "There is a long tradition of research into the cost of reproduction, and what has been shown across species is if you reproduce, you don't live as long," said Dr. Kate Creevy, an assistant professor of internal medicine at the College of Veterinary Medicine. "The question that raises is why would you die younger if you have offspring?" Historically, studies on the effects of reproduction on life span have been done in model systems like mice, nematode worms and fruit flies, where it is difficult to figure out eventual cause of death. For the first time, researchers have been able to measure costs of reproduction in terms of the actual causes of death, finding that the causes of death differed between sterilized and intact dogs. Dogs who had undergone a gonadectomy (a spay or castration) were more likely to die from cancer or autoimmune diseases. Those in the sample who still had functional reproduction systems at death were more likely to die from infectious disease and trauma. "Intact dogs are still dying from cancer; it is just a more common cause of death for those that are sterilized," said Jessica Hoffman, a UGA doctoral candidate in the Franklin College of Arts of Sciences who co-authored the study. Creevy added, "At the level of the individual dog owner, our study tells pet owners that, overall, sterilized dogs will live longer, which is good to know. Also, if you are going to sterilize your dog, you should be aware of possible risks of immune-mediated diseases and cancer; and if you are going to keep him or her intact, you need to keep your eye out for trauma and infection." Their findings are valuable not only for learning about dogs, she said, but also for studying reproductive effects in humans as well. 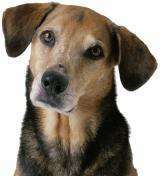 "There is no other species where we can even begin to study cause of death as closely as we do with dogs," Creevy said. "They model our own disease risk because they live in our homes, sleep in our beds and eat our food. All of the things that impact us and our health impact them." Some of the reproductive hormones, particularly progesterone and testosterone, she said, could suppress the immune system, explaining why there is an increased risk of infection among dogs that have been sterilized. "There are a few studies of people who are sterilized, specifically among men who are castrated for cultural or medical reasons," Creevy said. "Interestingly, there was a difference in their life spans too, and the castrated men tended to live longer. The men in that study who were not sterilized also got more infections, supporting the idea that there is a physiological reason for this." According to Daniel Promislow, a genetics professor in the Franklin College and co-author of the paper, "when researchers have looked at the effect of reproduction on survival rates in humans, the results have varied from one study to the next. Our findings suggest that we might get a clearer sense of potential costs of reproduction if we focus on how reproduction affects actual causes of mortality rather than its effect on life span." The authors note that the average life span seen in this study is likely lower than what would be observed in the population of dogs at large. Those observed for the study had been referred to a veterinary teaching hospital and represent a population of sick animals.